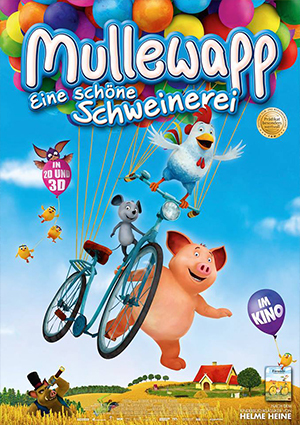 D,igital Compositing for Mullewapp 2, a stereoscopic full CG animated feature based on the famous german children’s book by Helme Heine. We worked on 20 stereoscopic sequences making over 40min of filmtime. I’ve been assigned to the project for about 4 months. Cast: Axel Prahl, Christian Ulmen, Ralf Schmitz, Carolin Kebekus i.a.